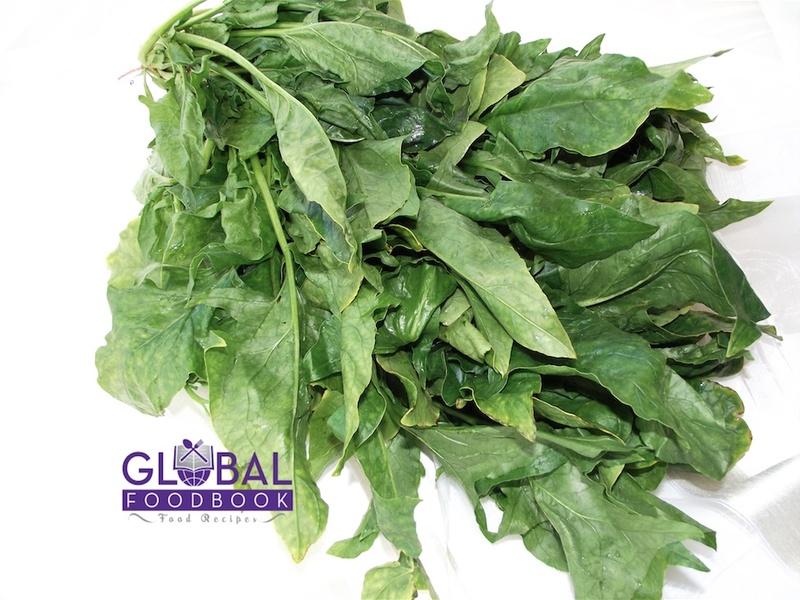 Spinacia oleracea, a botanical name for spinach (also known as palak) is a central and western Asia edible plant of the family of Amaranthaceae (Kumar et., al. 2012). The leaves appear ovate, alternate, simple and triangular with a variable size of about 2–30 cm long and 1–15 cm broad. The larger leaves are situated at the bottom of the plant while the smaller leaves are situated at the higher region of the flowering stem.It is composed of powerful nutritional value and is highly rich in antioxidants especially when consumed fresh or slightly steamed. The benefits of spinach cannot be overemphasized as it is a rich source of folate, vitamin A, betaine, manganese, omega-3 fatty acids, vitamin C, vitamin E, vitamin K, protein, niacin, magnesium, folic acid, iron, vitamin B2, calcium, opioid peptides, potassium, vitamin B6, copper, phosphorus, zinc and selenium. Spinach, according to Hunt (2010) controls both breast, colon and lung cancers. The lutein component of spinach is ideally beneficial in preventing cataracts as well as other numerous age related degeneration blindness amongst the elderly. Flavonoid contained in spinach is anti-aging and protects against memory loss. Spinach fights atherosclerosis, cardiovascular diseases and stroke. It helps to prevent heart disease and the nutrient folate lowers the blood levels of homocysteine which damages the arteries. Like other leafy greens, spinach boosts easy digestion and alkalizes the body. Various studies have shown that spinach possess strong antioxidant compounds such as carotenoids and phenolics which are very beneficial in tackling many chronic diseases and health issues linked with ageing due to oxidative stress (Hedges & Lister 2007). The three main types of spinach are savoy, flat and semi-savoy. The savoy such as viroflay is very dark and curly in appearance, while the flat or smooth leaf such as giant noble is very broad which makes it very easy for cleaning. The semi-savoy however, is a hybrid variety with crinkled leaves as that of savoy but not so difficult to clean example is tyee hybrid. The various vitamins, minerals and phytochemicals of spinach such as phenolic compounds, b-carotene, carotenoids, zeaxanthin and lutein, prove to prevent deficiency diseases, prevent chronic health issues and essential for normal physiological activities of the body hence highly recommendable for every individual’s consumption for good and healthy living. Hedges, L.J & Lister, C. E (2007) Nutritional attributes of Spinach, Silver beet and eggplant, Crop & Food Research Confidential Report no 1928, p1. Hunt A., (2010) Holistic Lifestyle: A layman’s Guide to eating and Living to Better Health and Happiness, FriesenPress Canada p38. Kumar A. C.K., Revathi K. & Mohanalakshmi S. (2012) A Review on Edible Herbs as Haematinics, International Journal of Pharmacy, issue 2, vol.2,p.50.